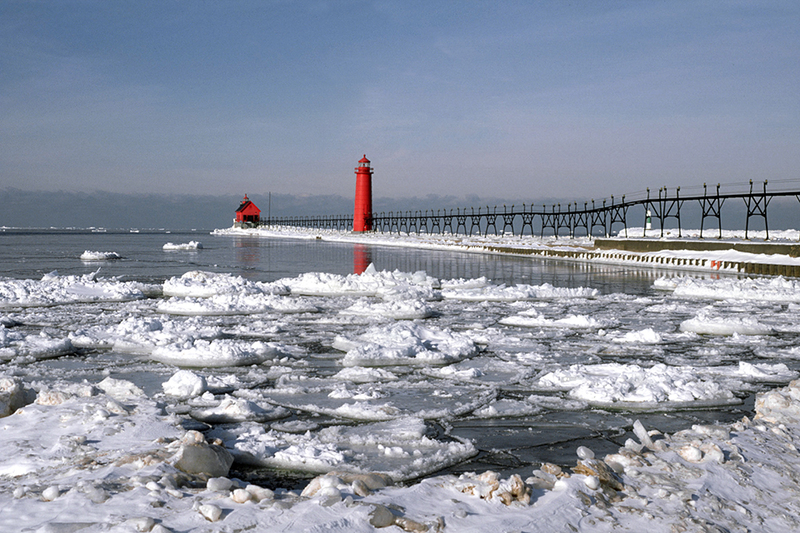 This ice and cold seem way too early, but I love the red lighthouse. What an excellent set of photos you posted. Brightened up my morning. Wonderful perspective and lines – great contrast of colors!! !